Heritage Expeditions we will be operating world-renowned Russian icebreaker and former research vessel Kapitan Khlebnikov for three of their Wrangel Island expeditions. The addition of Kapitan Khlebnikov to Heritage Expeditions’ fleet provides an unrivalled platform for High Arctic exploration combining the exceptional navigation capabilities of Kapitan Khlebnikov with their intrepid expedition programs and experienced team. 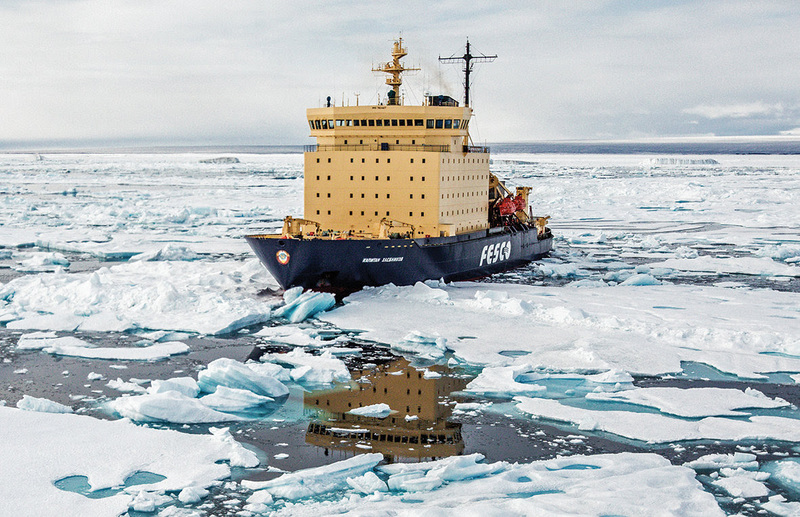 This peerless, authentic polar-class icebreaker holds the passenger ship record for the most crossings of the Northwest Passage and has famously circumnavigated Antarctica – twice. 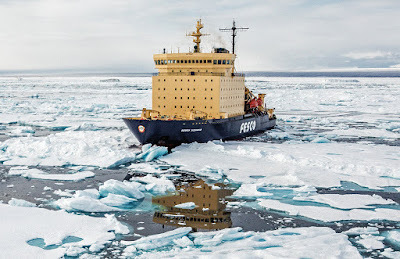 Built in 1981 by Finland’s Wärtsilä Company and one of four Kapitan Sorokin-class icebreakers, Kapitan Khlebnikov wraps comfortable surrounds in a formidable, ice-reinforced vessel capable of breaking ice as thick as two metres. Powered by 24,000 horsepower diesel-electric engines, she is designed for conquering the harshest conditions and allows the next-level experiential exploration Heritage Expeditions is renowned for. Recently refurbished, Kapitan Khlebnikov comfortably accommodates up to 110 guests in well-appointed and spacious cabins and suites all featuring large windows that can be opened and en-suite facilities. Common areas include large open decks, two dining rooms, a digitally equipped theatre-style lecture room, heated indoor pool, sauna, gymnasium, fully-stocked library, bar, lounge and four-person elevator. While the surrounds might be new, Heritage Expeditions' legacy as a family-owned and operated expedition company continues to grow with a team of world-renowned naturalists, botanists, historians and experts on hand to interpret the natural and human history discovered during your voyage, as well as hosting regular lectures, presentations and opportunities for experiential learning. Similarly, voyagers aboard Kapitan Khlebnikov will continue to enjoy our signature, gourmet cuisine alongside a premium selection of New Zealand wines. Guests can enjoy exceptional views from the bridge, via the open bridge policy, deck and various viewing areas around this remarkable vessel, while a fleet of 10 Zodiacs manned by an experienced expedition team ensures maximum time for ice exploration.